The Children & Teen Services department of the New Jersey State Library Talking Book & Braille Center (TBBC) serves children and teens in New Jersey who have difficulty reading standard print because of a physical impairment, a reading disability or a vision impairment. Contact us at 1-800-792-8322 ext 804 or 823 or email tbbcyouth@njstatelib.org. TBBC’s catalog, containing information on all of TBBC’s books, is online. Books can be ordered through the catalog. 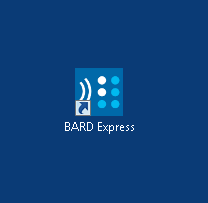 All audiobooks that can be downloaded are available through the Braille and Audio Reading Download site (BARD). The NLS Catalog (National Library Service for the Blind and Physically Handicapped Union Catalog) contains information on all books available from NLS. Books can be downloaded through the NLS catalog, but cannot be ordered. For Younger Readers: Braille and Talking Books are print catalogs from NLS. The most recent one is for all books made by NLS in 2005-2007. Please contact TBBC for a copy. For NJ community resources, see the Resource Directory from the NJ Division of Disability Services.